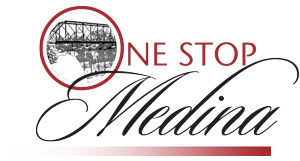 One Stop Medina is your one-stop site to find out what's going on in Medina, NY and to add your own events. From Church BBQs, to Monthly Concert Series, to Special Sales, One Stop Medina is the place to find it all. Our Community Calendar is designed so YOU can enter your OWN EVENTS, completely free of charge. Not only that, there are all sorts of ways to personalize One Stop Medina, such as the ability to set up instant-text-message reminders of events you don't want to miss. The sky's the limit. Want people to know about your upcoming event, be it a car wash or a concert or a yard sale or weekly giveaway?